After a mountain of media coverage and hype, the world’s largest social network recently went public in one of the biggest IPOs in history. Yet, just as soon as Facebook went public, its stock quickly plummeted, losing small-time investors billions of dollars. At the same time, its underwriters – which included major financial giants such as Morgan Stanley, Goldman Sachs and JPMorgan Chase – made off with a reported $100 million dollars from the deal. As investors took losses while Facebook and its underwriters profited, the criticism against Facebook began to mount. Legal actions were commenced accusing Facebook and its underwriters of withholding key information from retail investors. But while Facebook and its executives and underwriters continue to face criticism and even legal action after the IPO fiasco, the operational wheels continue to turn at the Facebook juggernaut. With the recent introduction of the Facebook Timeline and plenty of new features for advertisers and small businesses, Facebook doesn’t look to be launching any major changes to their platform in the near future. However, below are some rumored projects that could potentially revolutionize the way you use and interact with Facebook in your everyday life. For awhile now, there have been numerous reports indicating that Facebook and Apple were locked in tough negotiations with regards to integrating Facebook with Apple’s iOS. In a recent interview, Apple’s CEO Tim Cook even hinted at a partnership between Apple and the world’s largest social network. 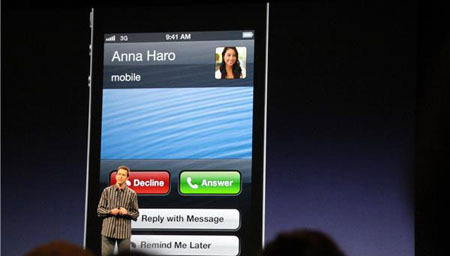 These rumors were confirmed at WWDC 2012 when Apple announced that Facebook would be deeply integrated with iOS6. For Facebook users who own Apple products, this means features such as single-sign on for apps, photo and map sharing, as well as integration with the Apple App store. Facebook users on the App/iTunes store will now be able to “like” music, movies, tv shows, and apps just like they would “like” their friend’s hostgator wordpress blog, as well as browse products their friends have enjoyed. Facebook users on iPhones and iPads will even be able to talk to their friends via Siri – iOS’s voice activated personal assistant. Events in your Facebook newfeed can now go directly into your iPhone or iPad calendar, and there will be additional features to make sharing data between your friends list and your contact list easier as well. 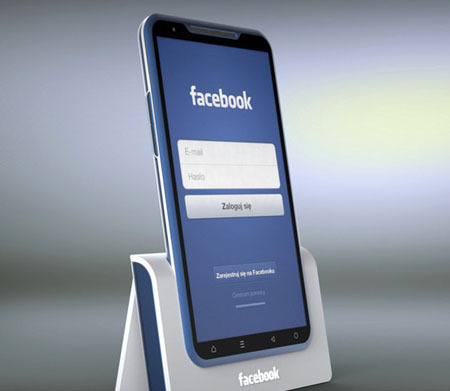 Another credible rumor that has been floating around for awhile is that Facebook is working on developing its own smartphone, which will integrate with its social networking platform. While there have been indications of previous attempts at creating a smartphone – including a failed attempt at developing an Android-based phone – it appears that Facebook is currently working with a team of talented former iPhone and iPad developers on their latest attempt to capture a piece of the lucrative smartphone market. With Facebook being the largest social media platform in the world, it only makes sense that they develop a smartphone that will allow them to grow their platform. While it’s still too early to know exactly what sort of features a Facebook phone would offer, having their own smartphone platform would allow Facebook to better integrate their social networking offerings as well as continue to develop and offer their own apps on the Facebook platform, rather than become simply become another app amongst many in an exploding smartphone market. Although it’s uncertain how (or if) Facebook’s recently announced plans to integrate with the iOS will affect their smartphone development ambitions, the rumored ETA for the Facebook smartphone is sometime in the first half of 2013. In early May 2012, Facebook acquired Glancee – a mobile location based app that uses your GPS location and Facebook login in order to connect you with nearby, link-minded individuals. While Facebook has no plans to integrate the Glance app, it looks like the Glancee team was acquired in order to work on upcoming location-related features for Facebook. While it’s unclear what specific features the Glancee team will be working on, it’s clear that future Facebook updates will give users a greater ability to integrate the virtual Facebook experience with their actual physical life. Rumors on upcoming projects and features clearly indicate that the social networking giant is looking to double down on the mobile experience – an area where Facebook has so far been notoriously uncompetitive. With the world growing increasingly mobile and virtual, this seems like a necessary move. Perhaps more interestingly, the success or failure of Facebook’s upcoming mobile features could very well play a vital role in shaping the mobile landscape for years to come. This is a guest post from SitePoint sent by David Veibl, a guest blogger on internet marketing topics of interest. Check out sitepoint.com for a cool hosting coupon code for Lunarpages and hosting reviews of Fatcow and Justhost.